Regular recording of Corporation meetings began in College Book 4, which includes minutes from July 23, 1686 through September 5, 1750. 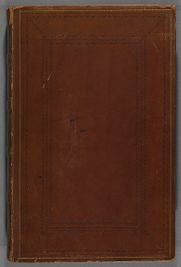 Its spine title reads "College Book 4 & 5" due to a nineteenth century labeling error. The creation of College Book 4 was precipitated by the English Court of Chancery's October 1684 judgment, which annulled the Royal Charter of the Massachusetts Colony and seemed to render the College Charter of 1650 – and with it the Corporation and Board of Overseers – defunct. In May 1686, Joseph Dudley (Harvard AB 1665) received a commission as the President of the Council of New England, and on July 23, 1686, Dudley and the Council met in Boston to create a provisional College governing board led by Increase Mather as Rector of the College and John Leverett and William Brattle as Tutors. The "Rector and Tutors" mirrored in purpose if not in name the Corporation's "President and Fellows," and the agreements of President Dudley and the Council creating the new governing board comprise the first entry in College Book 4. In June 1692, a new act of incorporation for Harvard College was passed in the Massachusetts Legislature and signed by the Governor. The Charter of 1692 merged the functions of the Board of Overseers and the Corporation into one Corporation consisting of the President, Treasurer, and eight Fellows. As the Corporation created by this 1692 act (and modified in later versions of the Charter) grew unwieldy, its members met less frequently. As a result, the Faculty (known until 1825 as the "Immediate Government") assumed more responsibility in managing the College's daily operations and addressing student discipline. On December 6, 1707 the Massachusetts General Court restored the Charter of 1650, thus reestablishing the Board of Overseers and the Corporation as the governing bodies of Harvard College. The changes in name and composition of the Harvard Corporation between 1686 and 1707 are documented in the proceedings recorded in College Book 4.